It’s time to make summer plans! We hope that your child’s summer schedule will include Wallace’s Junior Camp. 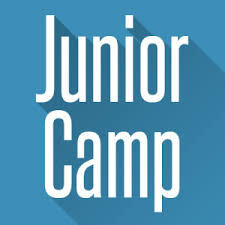 If you have children entering grades 4-6 in the fall, then Junior Camp is the place for them! Tuesday, June 25, and return home on Saturday, June 29. 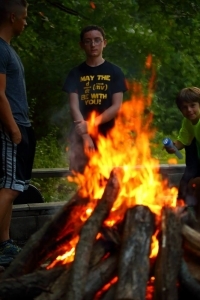 Camp includes five days of Bible studies, crafts, games, fun and good food. 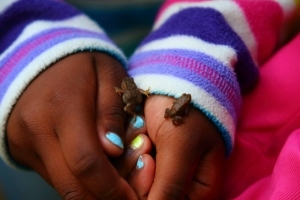 Mountain View’s beautiful geographic location provides a natural setting for a well-balanced camping program. It is exciting to think of a gathering of kids in one place with one purpose—to discover God’s wonders! How is this communicated? Through the excellent role model of counselors and leaders. These key people will build friendships with campers and help provide a safe, meaningful, and fun-filled camping experience for every junior. 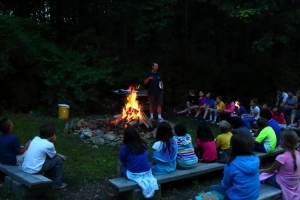 Bible adventure times are planned by our speaker, our “Storyteller” to motivate each camper’s discovery of God, and salvation offered through Jesus Christ. Swimming, cable rides, a wagon ride, superb home-cooked food, arts and crafts, sports, and many more activities which will enrich your child spiritually, physically, and socially, as well as enhance his/her self-confidence, satisfaction, social skills, and moral character. Register your child early and be assured of a place. There is no online registration; you must mail the 2019 Registration Form to Wallace. 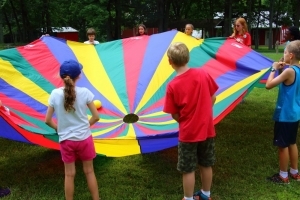 Please make checks payable to Wallace Presbyterian Church, with Junior Camp in the memo line. Register by May 19, 2019, the fee is $120. Register after May 19, the fee is $140. Scholarship opportunities are available for those who need it, so please contact us if your family needs financial assistance. We operate on a “first come, first served” basis and once all the spaces are filled we close registrations.